Change is not quite easy, and Friday the 15th of January 2016 proved testament to that. Alongside the branch staff and District office, were tutors and resident contractors who were assisting with the official move of the Ivory Park office. Under a threateningly cloudy and occasionally sunny sky- cabinets, desks, files and kitchen appliances were the order of the day. Considering the challenges, with resilience, the team managed to move all the office property from one container to a brand new one. Aching backs, scratched fingers and dusty shoes later, we managed to establish our new spot on the Kaalfontein Secondary School premises. If there is one thing to learn from this experience, is that you have to get up, and keep getting up! 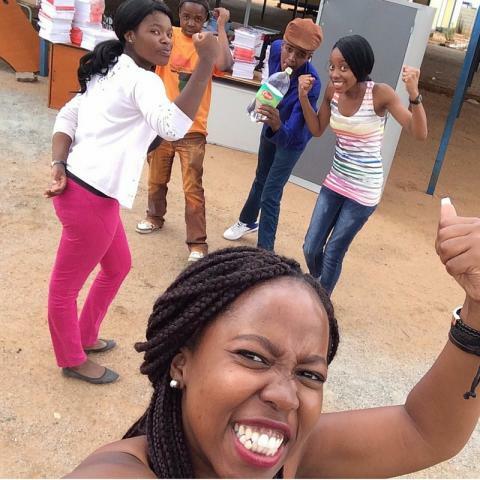 Moyisi’s(Tutor) chants declaring his manhood kept us motivated and entertained, whilst Khutso (Tutor) and Lerato (Branch Coordinator) kept wondering about the condition of their nails, and multi-toned skin from being in the sun. We reminisced about the memories we made in our old container and the possibilities the new container will have for us. At the end of the day we all need to appreciate that fresh beginnings mean new perspective and a brand new attitude. To office moves and beyond, Ivory Park is looking forward to a productive 2016 with all its stakeholders. Thank you to everyone who assisted in this big move! 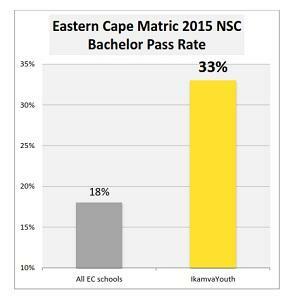 The national matric pass rate dropped from 76% in 2014 to 71% for the class of 2015. 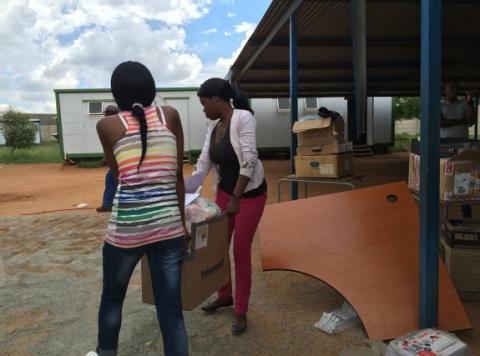 And so it was with nerves and excitement that IkamvaYouth learners, volunteers, parents, staff and donors made their way to the organisation’s branches in ten townships across five provinces last week. However, with relief and celebration, the figures confirm that the collective efforts have paid off, and the Ikamvanites have shown that with hard work, peer support and committed volunteer tutors and mentors, the odds can be impressively overcome. 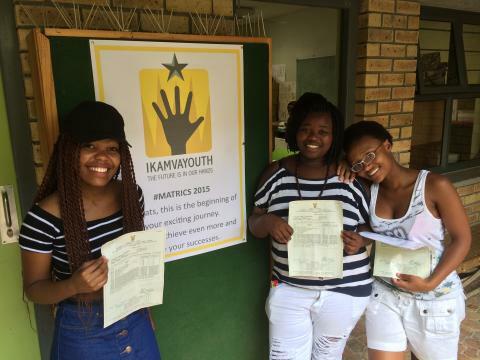 80% of Ikamvanites passed the matric exam compared to 71% nationally. 40% of Ikamvanites qualified to study for a bachelor’s degree at university compared to 26% nationally. While nationally, only 41% of matrics take mathematics and of those only 49% pass; among Ikamvanites 51% take mathematics and 58% pass. While nationally, only 30% of matrics take physical science and of those only 59% pass; among Ikamvanites 39% take Physical Science and 67% pass. Many learners achieved exceptional results. Chumisa Yaphi from Makhaza achieved 6 distinctions, and has been awarded a scholarship to study at UCT. She is weighing up her options at different institutions, and wants to study either Geology or Pharmacy. Read more about her achievement in the Q&A we did with her. Most of the learners who did not manage to pass this year are eligible for supplementary exams (61%), and so their journey towards a matric pass is not yet over. They will be tutored at IkamvaYouth branches until they write these exams. The organisation is particularly proud of branch performance in the notoriously poor-performing regions in Kwa-Zulu Natal and the Eastern Cape. The Umlazi branch is celebrating an 87% pass, with 74% eligible for tertiary (39% bachelor and 35% diploma), while the Chesterville branch achieved an 89% pass (27% bachelor and 50% diploma). Ntombikayise Mjaja, a parent at the Umlazi branch, thanked IkamvaYouth’s donors, volunteers and staff for their initiative, saying “our children are achieving because of this work; we have seen the improvements, and we are so proud of them”. Bongane Chavane, who joined the Umlazi branch in grade 10 when he was failing Maths and Life Sciences, said that, “the matric exams were of high standard, but with IkamvaYouth in my corner I managed to get a Bachelor Pass that I am very proud of. Today I am very proud to have passed Maths with 70% and Life Science with 72%. IkamvaYouth is a programme aiming at helping pupils with their future, and this year I am going to study Geological Science at the University of KwaZulu-Natal and also give back to this programme by becoming a tutor. 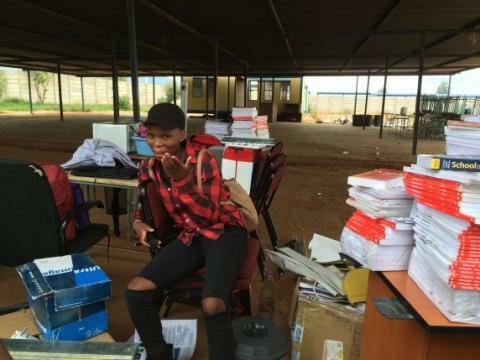 Despite challenges including lacking access to electricity, water and sanitation, as well as Maths and Physics teachers, the Joza branch just outside of Grahamstown achieved an 81% pass (33% bachelor and 24% diploma). 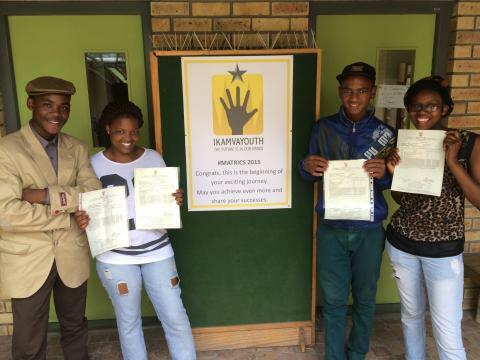 Khonaye Mpofana joined IkamvaYouth when he was in grade 11, as he had poor results in grade 10, and was unsure about his post-school career options. He is now celebrating being one of the top matric achievers at his school, and is going on to study Psychology at Rhodes university. Learners from the class of 2015 are going on to study a range of important fields that will equip them with the skills they need to build South Africa, including medicine, engineering, social work, and Information Technology. In addition, they are also committed to paying forward the support they received; and many of them are returning to volunteer as tutors, and uplift more learners as they rise. 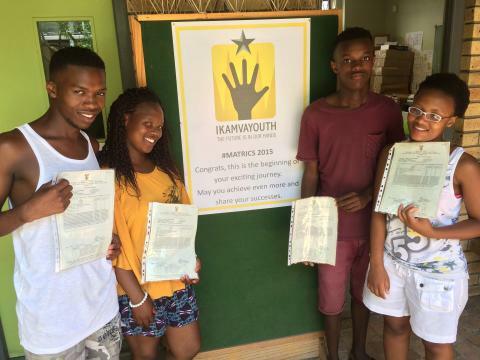 IkamvaYouth has maintained a matric pass rate of between 80 and 100% each year since 2005, and true credit for these results must go to the learners, volunteers, the staff, partner organisations and donors. “IkamvaYouth would like to express particular thanks to our remarkable volunteers and IkamvaYouth’s five largest donors in 2015: Amalgamated Beverage Industries, Omidyar Network, Capitec Bank, Montpelier Foundation and ELMA Foundation. Without these and all of the other wonderful donors, these results would not be possible. We appreciate your support hugely and are looking forward to continuing to working with you in the years to come,” says chairperson Leigh Meinert. For more information on IkamvaYouth, please see our 2014 Annual Report. If you would like to donate to IkamvaYouth, please do so via Given Gain or Global Giving or contact: alex@ikamvayouth.org. This video is for you, our supporters. Thank you for being a part of IkamvaYouth! On the 6th of January 2016 (Matric results day) we had a laughter-filled chat with Chumisa Yaphi from Makhaza in the Western Cape. She obtained 6 distinctions (including in Maths and Physical Science) in the final exams and is planning on studying Geology or Pharmacy. 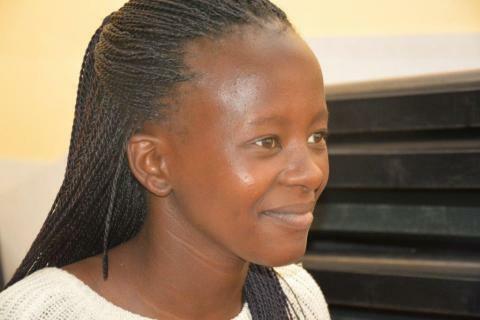 Chumisa joined IkamvaYouth in Grade 9 and has been attending regularly for four years. Here at IkamvaYouth we couldn’t be prouder of her impressive results! So, you got very good marks. 6 Distinctions, that’s amazing! Did you know it was going to happen? No, when I was writing the exam, I wasn’t sure if I was doing great but I expected to get a bachelors pass. I just wasn’t sure what my marks would be. 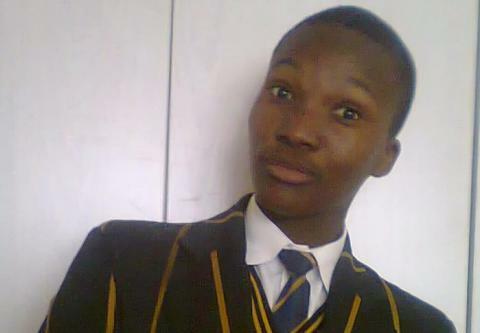 It was a big surprise when I checked my results from my phone and saw I had 6 distinctions. I applied to study Geology or Pharmacy at UCT, UWC and WITS. You aren’t worried that you’ll get into WITS and have to move far away? (Chumisa laughs) No I’m not worried. (More laughter) It’s fine. I’ll look at what seems like the better offer and pick that. What role did IkamvaYouth play for you to get these really good marks? IkamvaYouth has helped me to be able to express myself in English, and be confident to share my views. It has also improved my computer literacy in terms of how to search for information. IkamvaYouth has also provided me with extra material like answer series study guides, question papers, online videos and material etc. That has helped me improve my grades. IkamvaYouth has given me opportunities to visit different universities to get a better understanding about my career choices. Through tutoring, I have gained the spirit of giving back because I see how dedicated our tutors are, they ensure that they take out their time just to come and help us. I myself also help my peers as much as I can and therefore i have been able to get understanding as I explain as well. Did you apply for NSFAS? Well done! We wish you all the best. We are proud of our Masinites who achieved a 79% pass rate this year. 4% of them got a National Higher Certificate pass, 38% a Diploma pass and 38% a Bachelor pass. We are wishing them all the best for their development in future.